I don’t have high expectations for Mother’s Day gifts. I feel, in some ways, that it’s becoming over commercialized and honestly? I don’t need the gifts. Is the acknowledgement nice? Of course it is. When I’m acknowledged by Kyle’s boys (with my unofficial role as the other mother in their lives), that made my day. Beyond that, I expect nothing and ask for nothing. I’ve still held on to all of the crafts and homemade gifts that Sweet B has brought home and will cherish anything that Squeaker brings home from school. 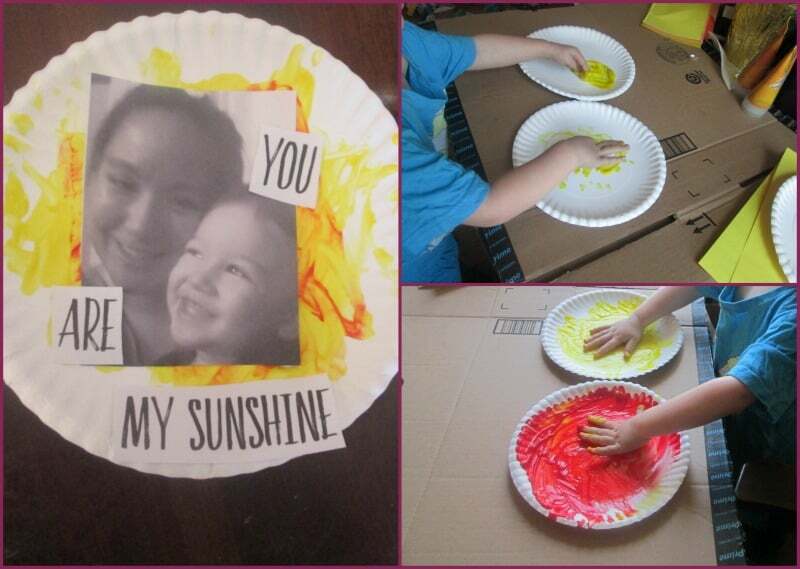 In the meantime, we make our own crafts together and while we were making paper plate suns, I had the bright idea to turn it into a Mother’s Day craft. Squeaker loves to fingerpaint and will probably do this all day if I let her. It’s one of her favorite things to do when I get out the art supplies and most of the time, she’ll pick out fingerpaint to play with over anything else. She does have access to crayons throughout the day and I’m debating if I want to tackle markers. I don’t mind it too much either because it’s one of the easier art activities to keep contained. 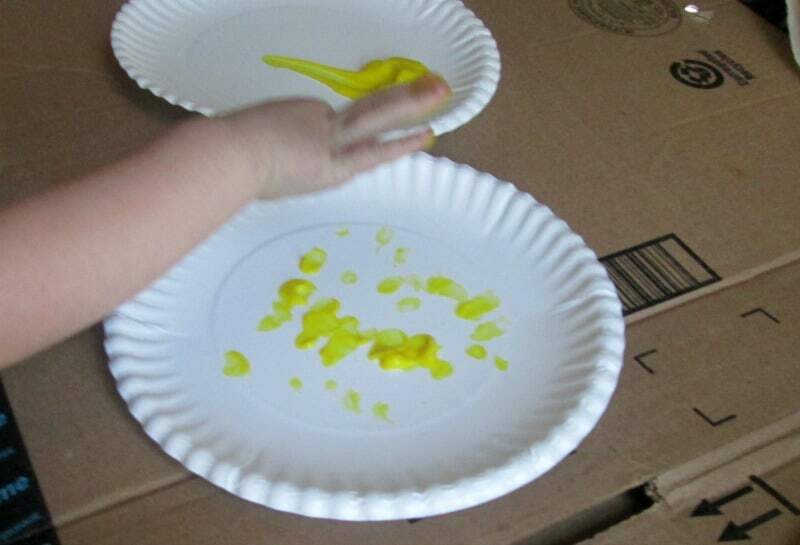 When the weather is warmer, we’ll take this outside but in the meantime; it’s so easy to just set out some paper plates with fingerpaint and let her have at it. 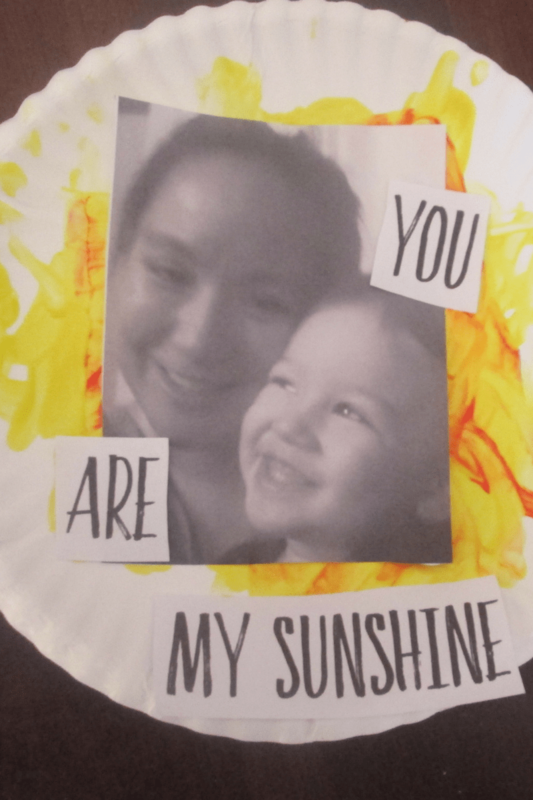 Recently we were trying out some paper plate crafts and making a sun. 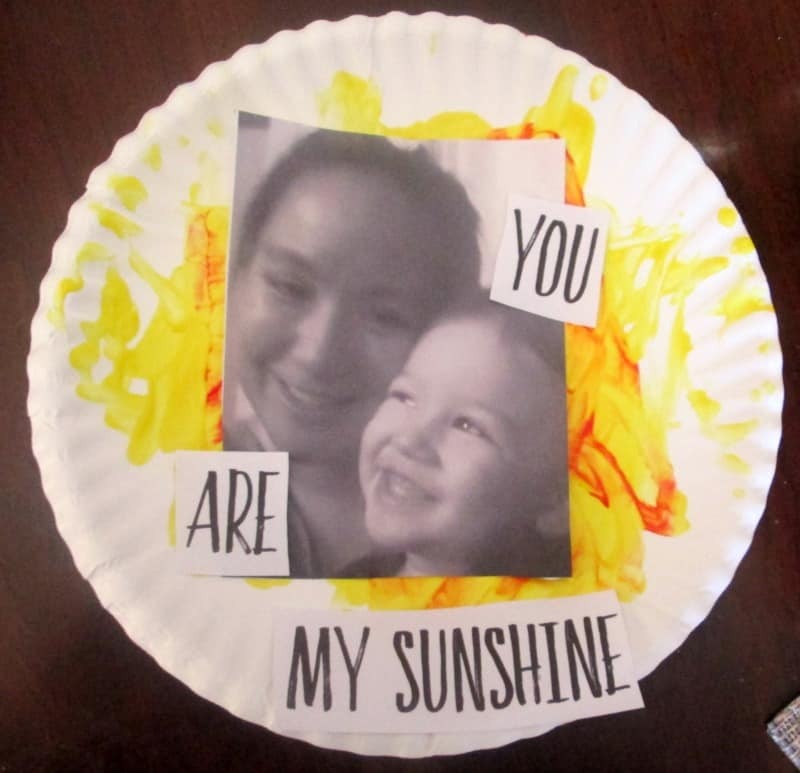 After one of her plates had dried, or was mostly dry, I was looking at it and thought it might be the ideal candidate for a mommy and me paper plate Mother’s Day craft. And it was super simple to put together! All I had to do was find a picture to use, print out the words, and I was set. I’m definitely going to save this one as it turned out to be super cute. If you’d like to make your own, you can grab the word art here. There are four different styles to choose from and you can either cut the words apart or keep them together. It’s up to you! Because of the file type, when you print it out, don’t have it set to “fit to frame” otherwise the top word art set will get cut off. 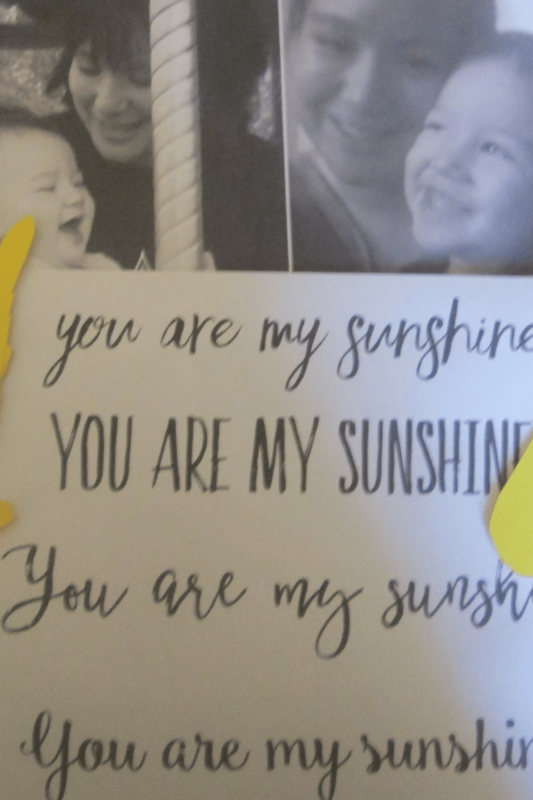 I printed out the word art and the picture on regular printer paper but if I was going to do this again, I would use cardstock and photo paper. Just to give it a better overall quality. Regardless, Squeaker and I both had fun with this and maybe next year she’ll be able to do more of it on her own. 8 Super Cute Mothers Day Crafts for Kids - Such Great Gift Ideas!